Everyone makes mistakes, especially when we're first finding our way around a kitchen. But if we continue to repeat those mistakes, they can become ingrained as habits. 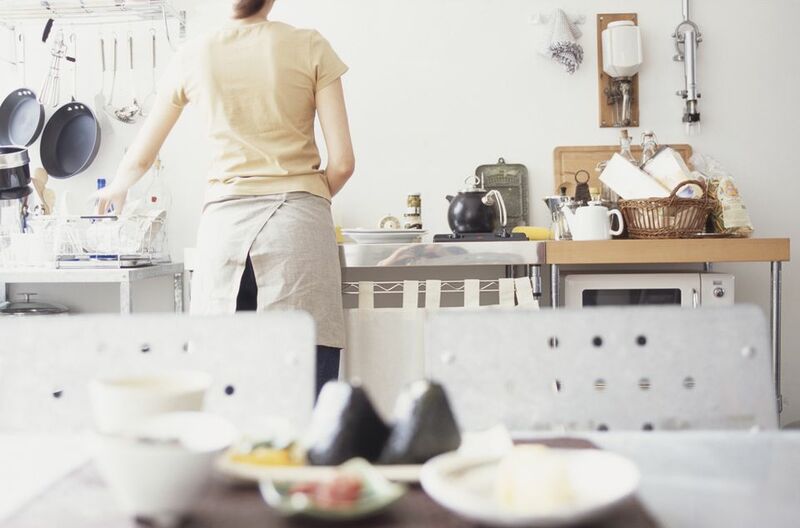 If you've picked up any of these bad cooking habits, it's seriously time to break them. In a sense, this isn't your fault. 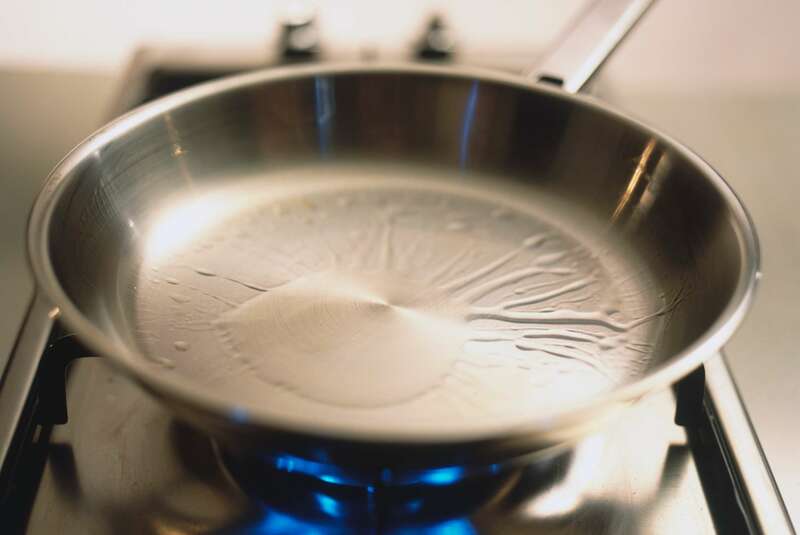 The burners on an average home stovetop might generate 7,500 BTUs, compared with the 30,000 to 35,000 BTUs that a restaurant range pumps out. It's no wonder your pans don't get as hot. This makes it more difficult for you to achieve adequate searing on your meats, which means you're missing the complex flavors that develop through the browning of proteins, as well as the color and texture. Nor will your sauteed veggies jump around in the pan the way they do at the corner bistro, but instead cook slowly, leading to loss of texture, color and flavor. You need to make up for your lack of heat by allowing extra time for your pans heat up before adding the food. By seasoning, we mean salt. And it's natural to be cautious when adding salt to your food. After all, you can always add more, but you can't take it out. Anyone who's tried the completely ineffective potato trick knows this to be true. But please, for the love of gumbo, don't let that scare you. When it comes to salt, most recipes say "season to taste," which means, obviously, that you should be able to taste the salt. But it also means you should rely on your sense of taste as a guide. In other words, taste as you go. And it depends on the food as well. You won't season a steak for the grill the same way you'd season a sauce that you plan to reduce. Knowing how much salt to add, and when to add it, is largely a matter of experience. Even so, you can avoid serving underseasoned food to your family and guests simply by tasting it right before you serve it, and adjusting the seasoning if necessary. The right way: Season as you go. And don't forget to salt the cooking water for pasta, rice and potatoes! This might be one of the worst cooking habits there is, and it leads to all kinds of unfortunate results. Have you ever started preparing a recipe and then discovered midway through that you're missing one of the ingredients? What do you do? Leave it out? Might not work. Substitute something? Again, depends on what it is, and what you're using instead. Drop everything and run to the store? Sure, as long as it's not Christmas Day, and you don't have pans in the oven or simmering on the stovetop. Or what about that time you started cooking something for a party that night, but only once you'd started did you notice that whatever it was needed to chill in the refrigerator overnight? These are extreme examples of the kinds of unnecessary heartache you cause yourself by not reading the recipe before starting it. A less extreme case is having to rummage through a drawer looking for the tool you need, which if you'd read the recipe first, you'd have known to have it ready. Still, it's time to break this habit. The right way: Read the recipe all the way through before starting. TWICE. The worst part of using dull kitchen knives isn't that it makes it so much harder chop and slice your food. It's that it makes cutting yourself so much easier. That's because when you're working with a dull knife, you have to press down harder to force the blade through your ingredient. And as you apply more pressure, the blade is more likely to slip. Not only do you end up cutting yourself, you cut yourself deeply, for the very reason that you were putting so much weight into the knife. But regardless of who does the sharpening, make sure you don't just toss your newly sharpened knives into a drawer. Protect the blades (and your hands) with knife guards, or store your knives in a knife block upside down, with their edges away from the wood. The right way: Keep your knives sharp, and store them properly so they stay that way. Again, not entirely your fault. Many recipes list flour quantities in cups, so it isn't surprising that people measure their flour that way. But it does produce unreliable results, due to the fact that scooping a measuring cup into a bag of flour is a terribly inaccurate way to measure flour. A better way is to use a digital scale. Just remember that a cup of flour weighs 130 grams, and then when a recipe calls for a cup of flour, you simply weigh out 130 grams of flour. For fractions of cups, just do a little division (65 grams for half a cup, etc). The right way: Weigh your flour with a digital scale. In general, the impulse to refrigerate food is a good one. Cooler temperatures slow the growth of bacteria that can spoil your food or make you sick. Why not refrigerate everything? Not so fast. First of all, it isn't necessary. Temperature is only one of six factors to contribute to the growth of bacteria. Moisture and protein are two others; bacteria need an adequate supply of both in order to reproduce. And while butter is considered a high-moisture food, it contains very little protein. So leaving a stick of butter out at room temperature for even a week will not cause it to spoil or make you sick. You have to guard against rancidity, which is caused by oxygen and light, but an opaque butter dish will take care of that. Which means you won't have to struggle to spread butter on your toast ever again. The right way: Fearlessly store your butter on the counter in an opaque butter dish with a lid. Like refrigerating food to keep it fresh, taking tough cuts of meat and making them more tender is another worthy goal. After all, no one wants to wear out their bridgework gnawing on shoe-leather steaks. The trouble is, the methods you're using to achieve that goal are the wrong ones. Specifically, marinating. Someone, somewhere, is responsible for originating the idea that marinating meat helps tenderize it. Whoever they are should have to eat a catcher's mitt as punishment. The theory is that it's the acids in the marinade (in the form of citrus juice, vinegar and the like) that help break down the connective tissues in meat that makes it tough. Unfortunately, this is exactly false. Acids don't tenderize protein, they make it tougher. That's precisely why ceviche works—the acid in the marinade denatures the proteins in the seafood, essentially cooking it without heat. This is not to say that you shouldn't marinate your meat. Marinating adds flavor. But no amount of marinating is going to make tough cuts of meat tender. The right way: Forget trying to tenderize meat by marinating, and use one of these three methods instead.